I was just sitting in my office and picked up my purse and wondered why it was getting so heavy. I reached inside and pulled out a rainbow assortment of 11 (Yes, 11!) 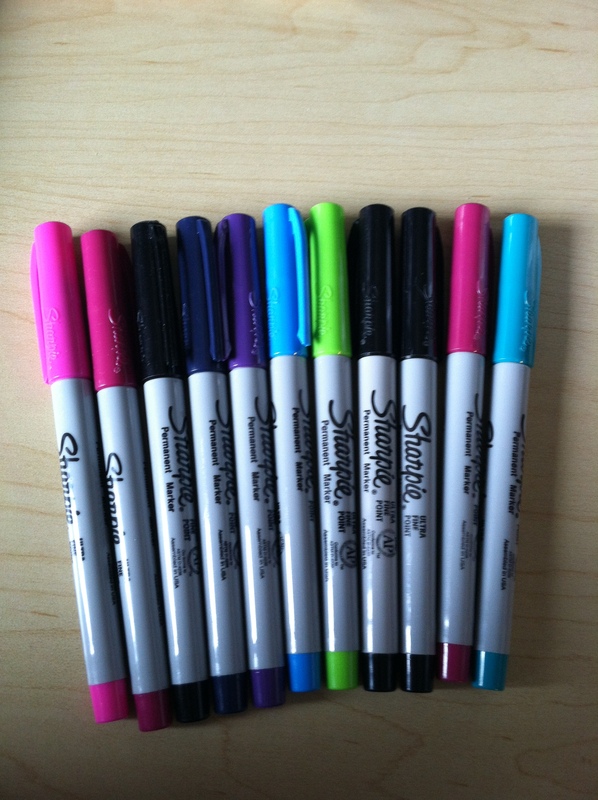 Sharpies. It was like a clown car situation, they just kept coming and coming. Epic Usability Fail: Pull! Open! But not this door, the other one.